Keeper League Strategy for 2019: Let’s Talk! Normally in these strategy articles, I share my incredible genius and you walk away astounded at my knowledge and comfortable with the idea that you have seen greatness… or something like that. This one’s gonna be a little different. Yeah, I’m gonna share some of my takes on Keeper League Strategy. I have been playing in keeper leagues for over 15 years and I’ve learned a lot over that time. I’ve seen what works (first hand), and I’ve seen what doesn’t (unfortunately also first hand). Here’s the thing though. There are a lot of different ways to succeed in keeper leagues. In fact, there’s a virtual Baskin Robbins of keeper league flavors and no one way to win any of them. There are just too many variables to offer up all of the answers in one article. So rather than me telling you how to win keeper leagues, let’s just call this a discussion on Keeper League Strategy. I’ll do my talking here in the article. You chime in down below in the comments. Deal? Cool, let’s get started. I’m not sure what the entries are in the Webster Dictionary, but here’s how I delineate keeper leagues from dynasty leagues. In Dynasty Leagues you can keep as many players as you want for as long as you want. In keeper leagues, you are limited to a certain number of keepers for a time period limited by a contract or increasing salary requirements. There are also plenty of hybrids out there with all levels of in-between. For our purposes, we’re going to assume you can only keep a limited number and they’re some form of limitation on how long you can keep each player. Now let’s get into the meat of this discussion. I’ll share some of my thoughts on the best ways to run a successful keeper league team. Then you can tell me where I went wrong in the comments. I see way too many people overemphasize age in keeper leagues. Players can have similar stats, but they value a 23-year-old twice as much as a 28-year-old. Certainly, age is a consideration, but I’m not worried about a player’s age until they’re in the 33-year-old neighborhood. And even then I’ll take a chance if there’s a discount built in. My basic take is that if you’re thinking more than two or three years ahead, you’re thinking too much. Stop thinking Meat, you’re hurting the team. Age does take on more importance if you have the ability to keep a player for extended contracts. In one keeper league I’m in you get the player for three years at his auction price. After year two you can extend him up to four more years, but his price tag jumps $5 for every year you extend him. 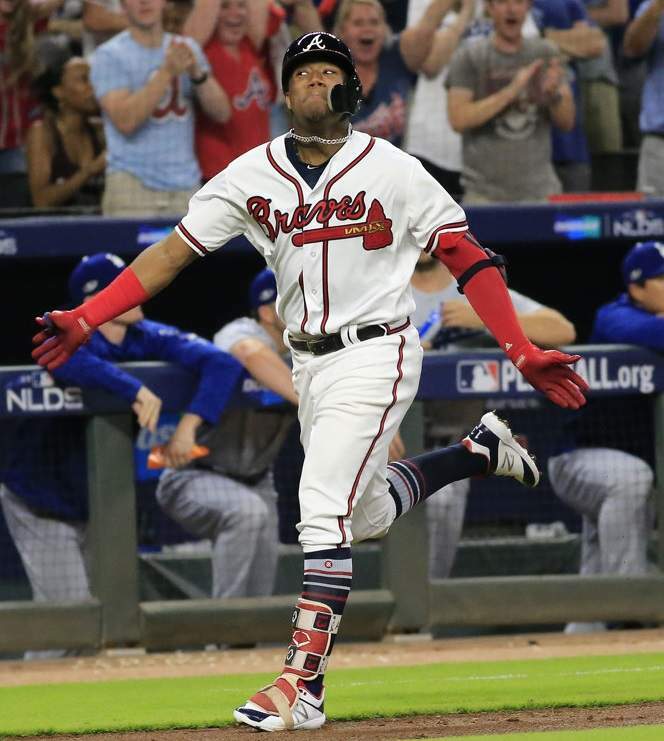 For example, I have Ronald Acuna Jr. at $5. After this year I’m going to have a decision to make. Let’s say I want to extend him the maximum four years. Starting in year four his salary would be $25 (4 years X $5 plus initial cost). I’m likely to do that unless he gets hurt or falls flat in 2019. If he were a pitcher I’d have to think twice. Injuries are so much more of a factor I am very unlikely to extend more than two years for pitchers. The level of planning changes a bit when your keeper league has a minor league component. Of course, you have to think a little more long term. Still, I rarely consider a player below A-Ball. The minor league rosters in most keeper leagues are pretty limited. So rather than draft a player I may have to wait four years for, I focus on players likely to arrive in the next couple of seasons. There’s just too much that can go wrong over the course of a player’s minor league career to invest so much time when roster slots are scarce. I will make exceptions for rare talents like Wander Franco and … well, Wander Franco right now. This is one area where I probably differ from most keeper league managers who generally don’t target catchers or closers as keepers. Catchers tend to suffer more injuries and the wear and tear often take a toll on their production. Meanwhile, closer situations change all the time. Job security for all but the elite closers is almost non-existent. I acknowledge these issues but take a different angle. All of the keeper leagues I play in use an auction to acquire players. I absolutely hate getting in bidding wars for the last good closer or fight over a catcher who can hit barely over .250 with 10 homers. For this reason, if I can grab a cheap catcher or luck into a bargain closer, I will not hesitate to keep them. In fact, during the latter parts of each season I target setup men I think could move into closer roles soon. I’ve “lucked” into $5 closers more than a few times doing this. It’s nice not to worry about saves heading into an auction. It’s also nice to bring up elite closers for bid and watch the money fly off the table. If you’re in an auction keeper league you know all too well what keeper league inflation is all about. Because so many players are kept at values well below their worth, there’s way too much money to go around for the talent that’s available. Players can easily go 50% or more over their normal values. There’s no way to prevent this from happening. It’s part of the nature of keeper leagues. You do have to deal with it though. The first step is to form your dollar values for all the players in your pool like it is a redraft league. Then for all the players kept you subtract their keeper prices from their projected price. The sum of these difference are then added up and redistributed to the rest of the player pool. This is where inflation comes from. I’ve seen way too many analysts suggest you just allocate that excess money out to the rest of the player pool on an even percentage basis. For example, let’s say there is $250 to allocate to what should be $200 dollars worth of players. Some would say you just multiply the dollar values for all available players by 1.25. The math works out, but reality is gonna kick you in the huevos if you take this approach. The rest of your league doesn’t think this way. No one is going to pay more for a player under $5 or so. The bulk of that excess money is going to the top half or third of available players. So rather than figure out inflation by a flat percentage, I suggest you figure out how much extra money there is and manually allocate it predominantly to the top couple tiers at each position. In fact, if there’s a shortage at a certain position or in a single category, weigh that even more. If you just figure inflation at an even percentage, you’re going to end up with a lot of $3 players for $5 prices… and a whole lot of money left on the table. In my experience, there are basically two types of keeper league owners. The first type builds a nice base of low-priced keepers and when the time is right, trades most of them for expensive stars in an attempt to win that year. This type of manager tends to succeed in cycles. There will be a few years of competitive teams followed by a couple years of rebuilding. I’ve admittedly fallen into this category for a lot of my fantasy life. I’ve worked on becoming the second type of keeper league owner over the last couple of years. This type of owner has a competitive teams year in and year out. A couple of years ago I had just finished a successful two-year run and had very few decent keepers. I could either try to scrap for an unlikely money finish or I could start building what I hoped would be a long term successful team. This time I chose the latter. I made some great trades for Acuna and Victor Robles in my NL league and a bunch of young pitching studs in my AL league. It paid off immediately in my NL league. I led the league for much of the year before things faded and I had to settle for second place. The key is that I didn’t mortgage my future for a shot at first. I did sell off a couple lesser keepers, but I kept my core. I’m not completely comfortable with not doing whatever it took to grab the title, but the reality is that it might not have worked anyway and I would be rebuilding all over again. As it stands now, I should be competing for a title again this year and can make that same decision again. Hopefully, I have the patience to stay the course. I may not. If I think trading off a top keeper will ensure a title I will still probably go for it. It’s in my nature. Most years I feel like I have a chance to compete and I will do my best to do just that. Some years however you know there’s no shot. In this case building for the future takes priority over winning now. The conventional wisdom is to spread the value around and hope to land some good values late in the draft. This can work, but I think there’s a better way to do it. In years that I’m convinced there’s no way I can contend, I use a Stars and Scrubs approach. I spend a lot of money on elite players I know other people will value highly. Of course, that means many of my other players will have to be purchased for very small salaries. That’s okay. That’s where keepers come from. It doesn’t end there though. Those high dollar players I purchased at auction are going to be on everybody’s wish list during the regular season. Starting from Opening Day on I’m going to start trying to extort the very best keepers and prospects from teams that want to win it all this year. So in addition to the low-priced players I bought at auction, I’m hopefully adding the cream of the keeper crop. This is how I built my NL-Only team with Acuna, Victor Robles, Rhys Hoskins, Aaron Nola, and several other elite keepers. Now the key for me will be to use those keepers to win leagues and sell them off when the time comes but to maintain a competitive team throughout the process. That is a much harder dance to do, but if I want to consider myself a top keeper league owner, I have to be able to do it. So that’s my take on some of the issues we all deal with in keeper leagues. I’ve won a lot of titles, but I’ve also had to endure some tough years. I’m hoping to get rid of some of those valleys in the next few years while still winning my share of leagues. Let me know your thoughts in the comments below. What keeper league strategy do you employ? Looking for suggestions on your current roster? Whatever it is, let’s keep these comments active and we’ll work together to build a better tomorrow… I’ve always wanted to end a column like that… It was kind of a letdown. For more keeper league content check out my Fix for the Dump Trade Dilemma, and my 8 Keys to Building an Awesome Keeper League. Did you find Doug’s take on Keeper League Strategy useful? For more great rankings, strategy, and analysis check out the 2019 FantraxHQ Fantasy Baseball Draft Kit. We’ll be adding more content from now right up until Opening Day! Cheap closers are fantasy gold. If you are going to dump; be the first to dump. One year was in 2nd place mid June. But I knew the dump trades were coming and my ceiling was prob 4th or 5th. I have no interest in 4th or 5th place money. Dumped the stars for prospects and keepers, finished about 7th but won the league two of the next three years. Zig when everyone else zags. Most owners in my leagues were spreading the wealth. Had a lot of success going stars and scrubs. Can replace your scrubs on the waiver wire. But when other owners began to follow with a stars and scrubs approach, it was time for me to spread the wealth. Being the contrarian has always come naturally to me. I play in AL only auction leagues. With half the teams tanking, it is not a good time to have to embark on a full rebuild. Teams are not spending so the player pool has a lot DHP guys (draft/hope &pray) If it comes to that, this might be the time to settle for a minor award & retool rather than bottom out. Thanks, Doug, for ur insight. Have been following (and usually nodding) with of the articles. Great takes. Love to talk deep league stuff. Just 5? I want more 🙂 I want two elite starters this year so I’d keep Snell and Sale for sure. On offense is where it gets tough. I’d keep J.D. Martinez and then make a choice between Daniel Murphy and Kris Bryant. Most would keep Bryant, but I really like Murphy in Coors. If your league used more keepers I’d for sure go Bryants as he’s younger, but with just 5 keepers every year, they they shouldn’t be too hard to come by, so I go with Murphy. Most probably would not. Liked the article! Especially the last half. I traded away quite a bit to win a championship last year. I’m in a keeper league, we keep 4. I have 6 what’s your take on who I should keep? Nice problem to have. I think it will be very important to have two elite pitchers this year, so I keep Sale and Buehler. Then I go with J.D. Martinez and Acuna. I’m lower on Correa than most and while I love Bryant, he’s not quite what we want him to be IMO. Does Fantrax offer a discount for a league that has both a NL & AL league? Our league is in its 37th year and we play NL champs VS AL Champs for WS. 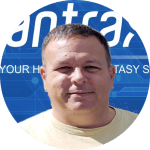 We have been with Fantrax for several years but considering a change. What would be your best offer? One problem we have in 12 team Roto 6×6 is keeping players involved who are at the bottom. It is difficult to move up if you are out of it by June. We have 5 keepers for two years. HTH League with mostly same owners is way more competitive through season. One thing I’ve seen help on that front is to give say the 7th place first pick/additional keeper etc… Reward 7th, 8th, 9th ahead of the last place finisher… In the end it’s still about owners. Tell the deadbeats to get out. It might hurt short term, but in the end it’ll be better. Awesome stuff Doug! I’m currently employing the cheap closer strategy as I enter a rebuilding phase and it’s looking good so far. Grabbed Leclerc early on last year hoping he could harness his command and paid off big. Also got lucky with a $5 May. It’s not even a month before the draft and teams are already asking about closers! So my question is, would you trade May right now while he has the “closer” status? I was offered Pineda B6 and White B3 so im quite tempted. I can definitely see the Twins employing some sort of committee or using Parker since he has experience in the roll. This is a AL only 5×5. Thanks! I think May will end up with the most saves when it’s all said and done, but agree Parker isprobably given a chance as well. I like White quite a bit, so I think I’d probably do that deal. Great article. Really the only helpful strategy piece I’ve found so far, thanks so much. I’m in an AL only league and tanked last year while ending up with some nice young guns. But I’m wondering who you would take for the other 3 from these top 7 I’m sitting on. 1. Osuna – I hate fighting for saves in an auction. I’ll keep a closer if the price is even close to reasonable and $10 is nice. 2. Tucker – I’d expect him to start earning his reputation in late May/early June. 3. It’s tight for the 3rd keeper, but I lean to Dames over Bauers slightly, mostly because of the position. If Bauers bat doesn’t get better, he’ll never stick at first base, and he’s not good enough in the outfield to start unless he hits a lot better. I’ve gone back and forth on many variations considering injuries (seager), time spent in the majors (Eloy) and average/lineup position (Anderson) but would appreciate some thoughts! Thank you! Yeah, a lot of extenuating circumstances. I think I’d take the safety of Anderson along with the upside of Jimenez. I expect him up within a month. They are also the two cheapest options which let’s you spend a bit more in the auction. Tough call. I’d expect most elite players to be kept, so it might be hard to get a player like Harper back again. Think I’d go with him even with the discount on Realmuto. Given how thin it is, I worry that Archer’s draft day price would be inflated, even though I value him closer to $18. Stripling has a lot of upside, but that is weighed against the pitching depth of the Dodgers and the risk he’ll wind up in the bullpen. I plan on spending what it takes for Nola, which I expect will be close to $40 given the supply issues. What do you think of Stripling and Archer? I think there is a lot of upside on some pitchers expected to be cheap this year, but it seems like a lot of risk to rely on them for more than 1 or 2 spots. I will use 3 or 4 spots for relievers. Pitching categories are W, Sv, K, ERA, WHIP. This sounds like the leagues I mainly play in. I am not a fan of Archer or Stripling at those prices. Personally I wouldn’t keep either. You need too much pitching to spend a lot on Nola, so I might target Taillon who is on the rise, then maybe Bumgarner who everybody seems to be down on. Lower level pitching I’ll be targeting this year includes Julio Urias, Brandon Woodruff, Corbin Burnes, Collin McHugh. Is Chris Paddack owned? He’s looking like a future stud. Might be able to squeeze some value out of Brad Peacock… It’ll be hard to pile up wins and Ks, so I would focus on ERA, WHIP, and try to finish top 3 in saves… Hope this helps. Every keeper league is different so it’s hard to give definitive answers. With just two keepers, I’m not so risk-averse and future value is not all that important. I keep Goldschmidt because first base is kind of ugly. And I keep Syndergaard because of huge upside. You can’t really go wrong with any of these names though.